Home » Poker » Edge sorting – strategy or cheating? Phil Ivey’s long running battle against Crockfords casino has sparked interest and debate across the world. Central to the case was ‘edge sorting’, a controversial gambling tactic which involves studying cards for minute imperfections and hence knowing the value of face down cards. Although Ivey’s claim for £7.7m, won over 2 days in August 2012, was denied; the judge did not make a clear ruling as to whether edge sorting was cheating, leaving this contentious corner of gambling law as murky as ever. Edge sorting can be used to beat the house in games like Punto Banco, where it is typical to retain the same deck for a long period. Unlike the more orthodox strategy’s edge, sorting involves studying the reverse (face down) side of cards for tiny imperfections, like asymmetrical diamonds in the hatched pattern. By identifying these cards, and remembering their value, players can make almost perfect bets and reverse the house edge in their favour. So where is the line drawn between a legitimate strategy to overturn the house edge and a duplicitous ploy to rob casinos of legitimately earned money? Let’s take a look at some famous examples from the past to see where a line has been drawn. Card counting, a Blackjack strategy which involves keeping track of dealt cards to gain a small advantage over the house, when it first came to prominence in the early 1970s casinos were mortified and attempted to ban anyone found counting. A series of legal battles established that card counting was not cheating; although many casinos still try to identify and kick out counters. In the early 1990s a Spanish gambler, Gonzalo Garcia Pelayo, had his family recording the results of thousands of Roulette spins at a casino in Madrid. When he discovered that many of the wheels there were imbalanced, favouring certain numbers, he came back and won over €1m in two nights. Although courts allowed him to keep the money, they have not been so kind to Roulette players who use handheld lasers and computer equipment to track the ball. This technique has been ruled illegal in most countries, with offenders often facing prison time. Last year two gamblers were arrested on federal hacking charges in the US after winning over $500,000 exploiting a bug in Video Poker machines. To do this they were required to press a complex sequence of buttons after winning a hand to play it back at 10x its original value. Many would argue that this practice is at least equally, if not more ‘against the spirit of the game’ than edge sorting, nonetheless after a long legal battle the pair was cleared. The definition of cheating in casinos seems to be very liquid, depending heavily on jurisdiction. However I would argue that the distinguishing feature between these cases is the level of duplicity required to gain the ‘extra’ information which puts you in front. Card counters do not have to lie or deceive to make their strategy work, simply keep track of dealt cards and place appropriate bets. Courts rightly decided that casinos couldn’t stop their customers from using information they couldn’t avoid seeing, and the practice has not been deemed illegal. 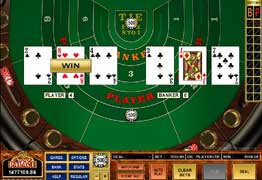 However, in Roulette, sneaking in to a casino with a concealed computer device was deemed cheating – because it gave the players more information than either the casino or other players had. So where does this leave Phil Ivey, who is still involved in another lawsuit involving edge sorting? He didn’t bring any equipment to the casino with him and the cards he was using would have been readable to anyone who knew what they were looking for. On the other hand he did ask for a number of unusual privileges, including touching and rotating cards at will. I would argue that his actions were neither intrinsically dishonest nor duplicitous; as all of his requests were made to and agreed by casino staff who might have had the foresight to take more precautions. As it is Crockfords appears to have pulled off a remarkable escape – and they better count themselves lucky!